Funeral of R. V. Pratt, Who Marched With Sherman to Sea. Roswell V. Pratt, whose funeral was held at the First Congressional Church Friday afternoon, was a Grand Army veteran and a man of sterling quality. He was born at Weymouth, Vermont, in 1841. The services were conducted by Rev. Henry A. Barden, department chaplain of the G.A.R., assisted by Rev. C. E. Cline, a pioneer Methodist Episcopal minister. Interment was in Riverview Cemetery. He is survived by a brother and sister, who live in River Falls, Wis. His daughter, Mrs. Mason, of Seattle, was present at the funeral. 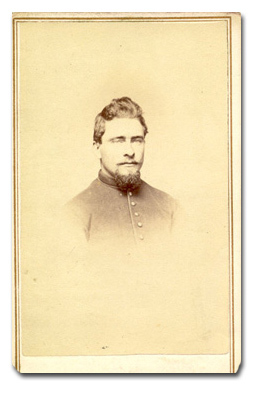 He was a patriot, and in 1861 love of country led him to enlist in the First Wisconsin Infantry, and at the close of the war he had reached the position of chief bugler of the Fourth Wisconsin Cavalry. He participated in numerous engagements and was with Sherman on the memorable march to the sea. He also witnessed the grand review of the Federal troops at Washington after the victory over the Confederacy and the restoration of peace. For 20 years after the close of the war he lived in St. Paul, Minn., where he was a member of the G.A.R., where for several years he was commander of Acken Post, one of the strongest in America. Twelve years ago he came to Oregon and identified himself with Lincoln-Garfield Post, G.A.R., serving one year as commander. He also served five years as quartermaster, and one year ago he was appointed to the position of Assistant Adjutant General and Assistant Quartermaster-General of the Department of Oregon, in which capacity he served with credit to the end of the term. He was a member of the Congregational Church.